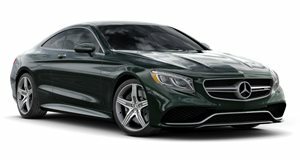 If you’re a fan of the Mercedes-Benz S-Class coupe and convertible and have the money to afford one or both, then consider this as something of an early warning. According to Automobile Magazine, Mercedes will not replace either S-Class variants once the current generation runs its course. The new sedan is still slated to arrive for 2020 and based on initial details and spy shots, it’ll be a magnificent display of many technologies, such as a fully digital cockpit. But none of that will transfer over to coupe and convertible variants. Why? Let’s just look at the sales numbers. Oh wait, you can’t because Mercedes doesn’t publish breakdown figures by body style opting instead to clump them together. But if we did have the numbers, the results would probably not be particularly good for both. Both body styles are already quite niche and given that coupe and convertible only start at $126,000 and $135,000, respectively, it’s not like either are flying off dealership lots. Demand simply isn't there. To compare, the S-Class sedan "only” begins at $92,000. But if you’re still saving your pennies and are afraid you won’t make the 2020 deadline, fear not. You still have some additional time. 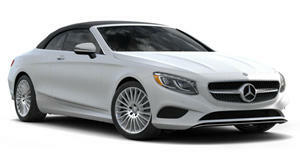 Mercedes won’t end S-Class coupe and convertible production until sometime in the next decade. That means two S-Class generations will be produced and sold alongside side each other for a period of time. 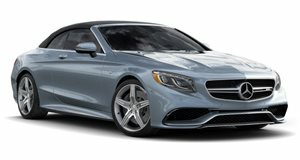 It’s not like demand is high for either coupe or convertible, but Mercedes must have done the math and concluded there’s still some money to be made. For those diehard S-Class coupe and convertible owners who regularly replace their cars every few years or so, Mercedes will gladly sell you a next-generation SL-Class instead. The eighth-generation SL is also due to debut sometime in 2020 and it will share some basic underpinnings with the second-generation AMG GT coupe and roadster. 2018 Mercedes-AMG S63 Cabriolet Test Drive Review: Who Needs A Supercar? The S63 AMG delivers supercar performance wrapped up in supreme luxury.